Please fill in as much as possible and bring it with you. Self orthopaedic scoring is an evaluation outcome measurement which can be used by us to assess treatment. Generally patients will answer the questions prior to the initial appointment. A total score will be calculated and shown. From here you can either email the calculated score to us or you can print the form to be presented at your appointment. On the anatomy image, click the link relevent to you. Type 'SCW' where is says Clinician's name. Answer all the questions as accurate as possible. Your score will be calculated and shown. Print or save as CSV. 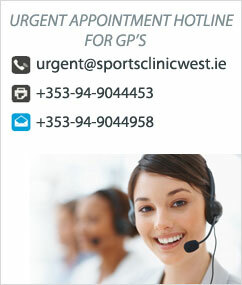 If saved, please email to appointments@sportsclinicwest.ie , include your name, date of birth and contact number.